H.F. Meacham of Oak Park sent a letter to Sears in 1921 regarding his experience buying an Honor Bilt home and how much money he saved by doing so. Meacham included a photo with his letter. Meacham did not live in this house; his brother lived in the Sears Preston shown. Meacham lived in the Dutch Colonial next door. 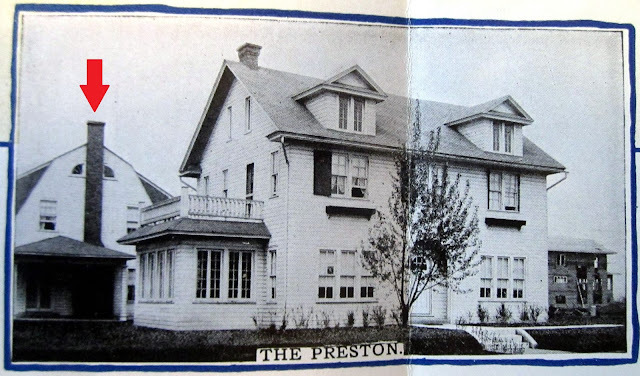 Photo of "The Preston" that Meacham sent into Sears. Meacham actually lived in the house next door, marked with the arrow. Scan courtesy of Andrew Mutch. Meacham's house at 906 Fair Oaks, Oak Park. 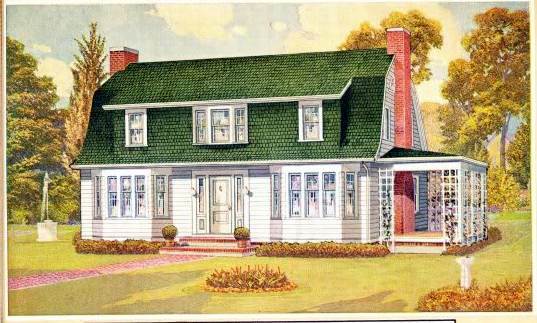 Sears Verona from the 1921 Modern Homes catalog. Not a lot of houses have a bay window in the bathroom. 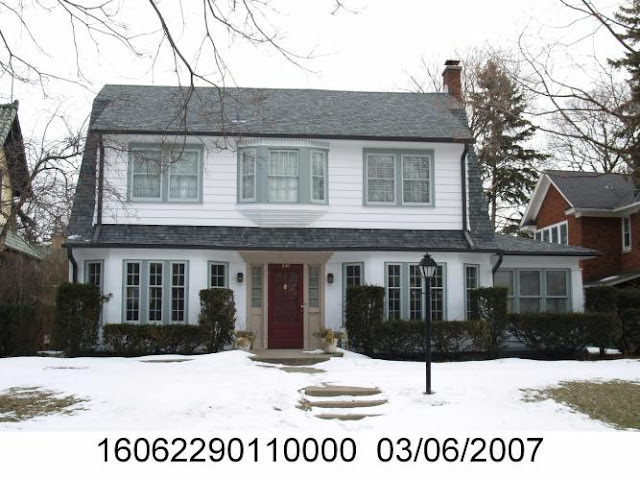 A better photo, courtesy of the Cook County Assessor. The side porch was made into a sun room. The architect of the Sears Verona was Nimmons & Co.
Dr. Hubert F. Meacham and his wife Genevieve had the house built in 1920 or early 1921. Dr. Meacham and his brother/neighbor (Dr. William C. Meacham) were both physicians. They served as team physicians for the Chicago Cardinals football team, the Chicago Blackhawks, and Hawthorne and Sportsman's Park race tracks. Dr. Meacham and his wife sold the Verona in 1938 to a Dr. Palmer Good.